Built for the Work Site and the Weekend. The definition of strength. 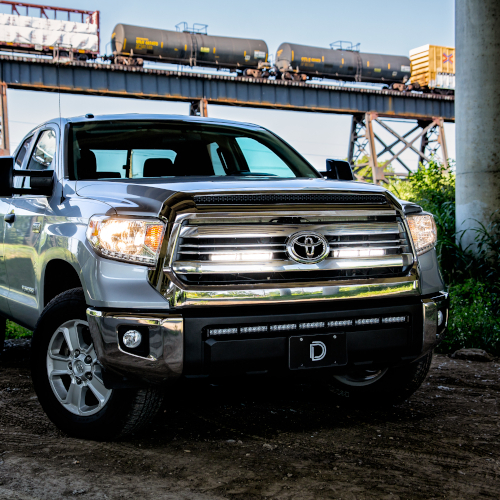 The 2014-2019 Toyota Tundra has the reliability of the Toyota brand, with enough power to get the toughest jobs done. Whether you are unloading at a job site, or you're lighting up the trails, LED lighting upgrades are a great way to customize your ride and provide an increased light output where you need it most. At Diode Dynamics, we focus on LED upgrades for headlight bulbs, tail lights, dome lights, and of course off-road and auxiliary lights, including mounts and brackets. LEDs are a great way to increase nighttime visibility, whether it's a subtle LED bulb upgrade or a full LED light bar setup. Sign up for our newsletter to stay up-to-date on the latest LED lighting upgrades for your 2014-2019 Toyota Tundra!